In its first home game of the season, American River College’s women’s basketball team fell to Shasta College 79-58, being held to only 23 second half points as Shasta pulled away late in a foul-plagued game. ARC dropped its fourth straight game to start the season, while Shasta got over the .500 mark and improved to 4-3. The game got off to a fast start, with the score tied at 20 after just over nine minutes of play. Shasta started cold from three point range, missing their first four attempts from outside. Shasta forward Baylee Toney led the Knights with 20 points in the game, while guard Ashley Rothmann went 3-7 from downtown, finishing with 13 points. Starting point guard Kamari Hunter made her first three attempts from beyond the arc, finishing with 13 points to lead ARC. Throughout the game, head coach J.R. Matsunami pleaded her team to pass the ball and shoot. “We have kids that can shoot the three, but they’re all young and they don’t realize that in order to set up a three, you’ve got to make a pass on time,” said Matsunami. “(We) started in the second half trying to create for themselves. And, we’re not good enough basketball players to be one-on-one players,” she said. Shasta went on an 8-0 run as the first half closed, taking a 41-35 lead into halftime. Early in the second half, with 17:24 remaining, ARC guard Demontra Harris got into a verbal exchange with Shasta guard Tia Cunningham, in which both started raising their voices and getting in each other’s faces. Both players were separated and assessed technical fouls as a result. Matsunami immediately pulled Harrison from the game, talking with her on the bench right after the incident. The entirety of the second half remained physical, with at least three jump balls called and several players diving and tripping over one another in efforts to grab loose balls. ARC was called for 21 fouls in the game (12 in the second half), while Shasta was whistled 20 times. It was Shasta, however, who locked down and stopped ARC from getting consistent offense. “I just think we need to work better on our defense too. Sometimes we get lazy, and we just gotta pick up the enthusiasm and get back into the game,” said ARC forward Cassandra Jaimes, who was making her first start of the season. 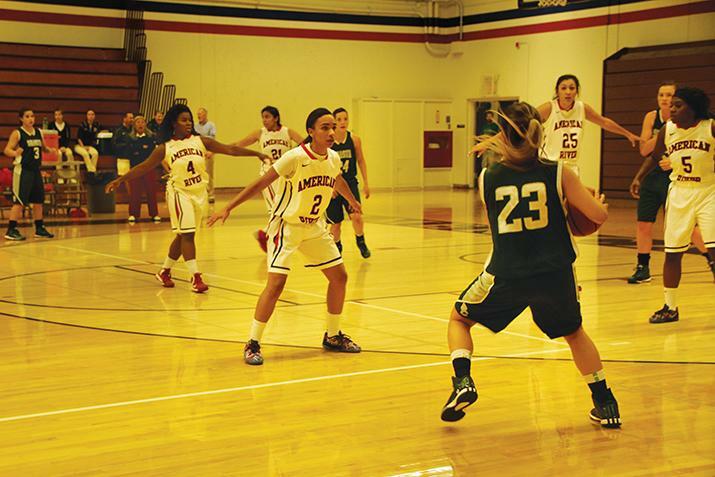 Jaimes, who was coming back from surgery on her tonsils, finished the game with three blocked shots and 12 points. “I mean, I’ve been out for a while. So, you know, I was trying to work out there, get in shape, and try to help this team as much as possible in the game,” said Jaimes. As Shasta started pulling away and took a 54-42 lead, ARC went on a 6-2 run that cut the lead back to single digits at 56-48. It was all Shasta from there though, as they closed the game outscoring ARC 23-10. ARC attempted to get back in it several times, but continually committed unforced errors, as Shasta led by as many as 21 points, which was also the final difference. Matsunami says her team is learning, but still has a lot of growing up to do. “You know these kids (were) not in good basketball programs. 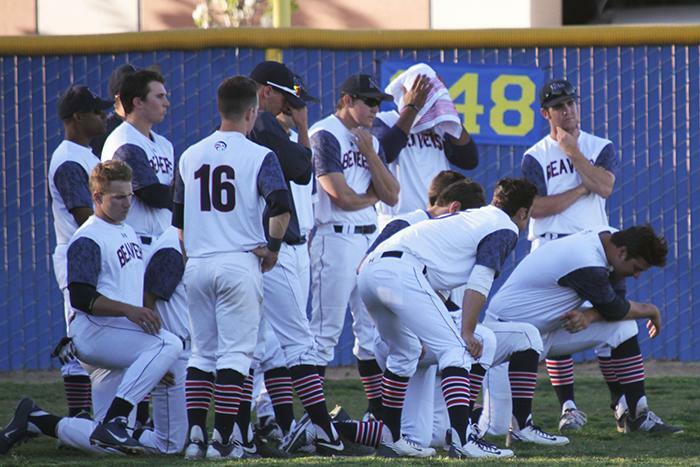 They could become better players, but they have to learn what it is to be a college athlete. 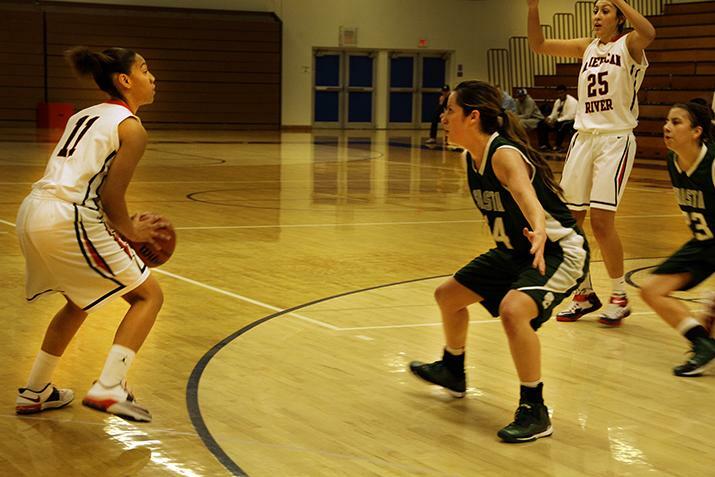 ARC guard Z’hane Washington, number 11 left, and forward Cassandra Jaimes, number 25 right, are two of the team’s seven freshmen this season. 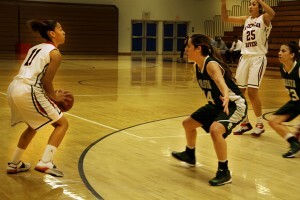 Be the first to comment on "Women’s basketball: Shasta rolls down the stretch, keeps ARC winless"